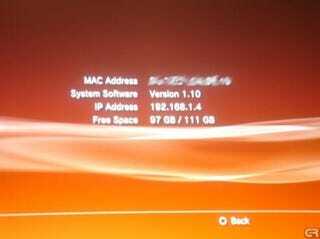 Who Needs an Upgraded PS3? Install a Bigger HDD Yourself. So Sony may or may not have a new version of the PS3 in the works with an 80GB hard drive. Big whoop. Are you really going to get excited about a $750 version of the clunky console just because it has an additional 20GB inside? Dude, you can stick your own bigger hard drive yourself in there for a heck of a lot cheaper than whatever Sony is going to charge you. All you need is a 2.5-inch 5400RPM SATA laptop HDD of whatever size you want, a couple of screwdrivers, and the desire to void the hell out of your warranty. GamersReports has a great guide to the easy-peasy process, so if you've got a PS3 and a need for some more breathing room, do it up. After all, the PS3 is already in black and already has HDMI out, so what is there to get excited about in a new version?